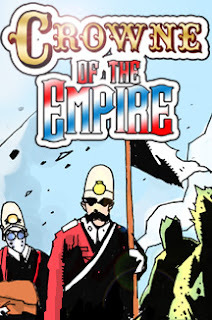 England is the glowing heart of a magnificent empire which spans right around the world. In the past it has been known that wherever they travel the people of this great country bring along with them great honor and great civilization, be it in the wild plains of Africa or across the ether where they find the savage devil men of Mars, or alternatively, the blue-skinned heathens of Venus. Now a good example of this can be seen in the grand tales of Sydney Crowne: the Sargent at Arms who's in charge of the Royal Third Martian battalion. Want to know who I'm talking about? 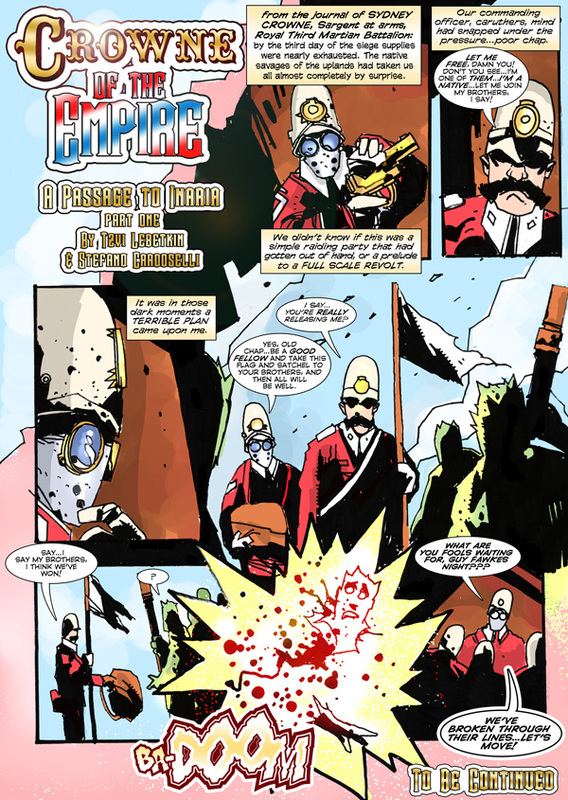 Then please check out this new steam punk inspired comic strip created by Tzvi Lebetkin and Stefano Cardoselli.